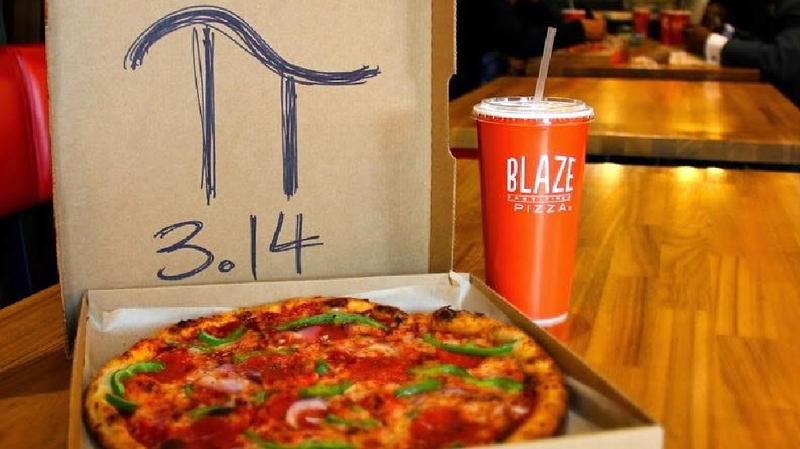 Today only, get a 10-inch pizza for just $3.14 at Blaze Pizza. This offer is limited to one per guest and is available in-restaurant only. You can search for a location near you here. Today only, score a Sweet Potato Pie for just $3.14. There is a limit of 3 pies per customer, while supplies last. Head here for more information. Today only, buy 1 Pot Pie and a Drink and you’ll get 1 Pot Pie Free when you use this coupon. There is a limit of one coupon per person per visit. 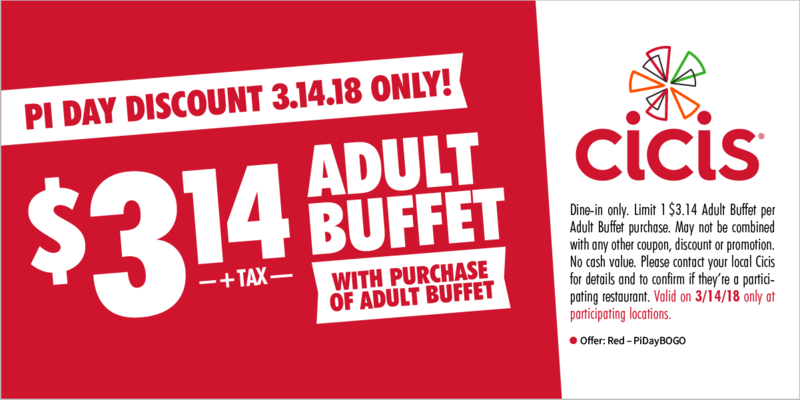 Today only, buy 1 adult buffet at regular price, get a 2nd adult buffet for $3.14 when you print out or show this coupon on your smartphone. For more information, check out the Cici’s Pizza Facebook page. Today only, Pieology is offering up ANY thin crust pizza for $3.14 when you buy a regular priced Custom or Chef Inspired 11″ thin crust pizza coupon – valid for Pie Life members. If you are not yet a member, you can join their Pie Life eClub here. Today only, Villa Italian Kitchen is offering up a whole cheese Neapolitan pizza for $3.14 – just be sure to fill out the form and print the coupon found here or show it on your smartphone. Find a Villa Italian Kitchen location near you here. Today only, Whole Foods is offering up $3.14 off any large pie from the bakery. Keep in mind that pie varieties can vary by region and this offer is available while supplies last. Today only, get a bakery pie for just $3.14 with your Kroger card. For more information, check out the Kroger Facebook page.